We manage our bookings are done through the AirBNB website. Please click here to see our availability. You can also see what some of our prior guests have said about or beautiful apartment. We did enjoy the stay very much! We did book on a very short notice. We arrived in a clean and luxurious appartment. Nick did takes us to the monthly "festival" on Bree Street. We did enjoy the stay very much! Lovely hosts !! A father and a son with an excellent hospitality. The flat is amazing, reserved place from the host's house, equipped, comfortable, safe and beautiful !!! Great location for the route we made from the coast. We were in 5 people and we´ll definitely return when we are in Cape Town. I really indicate, and the city is simply amazing !! GREAT HOST! Really friendly and accommodating throughout our stay! The place was perfect for us. Host was helpful in recommending places to eat and places to visit. The place was in excellent condition and appeared just as the pictures present. The kitchen had everything we needed! It has everything you would need to prepare a full coarse meal if you desire. The tv in the main area has a cable box and a Apple TV which was great. It was perfect for the kids as we just put on a movie for them. Clean linen and comfortable beds. The neighborhood is quiet, friendly, and just minutes away from everything you need plus the beach. Love this place. If we ever visit SA again we will stay again if available. GREAT HOST! Really friendly and accommodating throughout our stay! The place was perfect for us. Host was helpful in recommending places to eat and places to visit. The place was in excellent condition and appeared just as the pictures present. The kitchen had everything we needed! It has everything you would need to prepare a full coarse meal if you desire. The tv in the main area has a cable box and a Apple TV which was great. It was perfect for the kids as we just put on a movie for them. Clean linen and comfortable beds. The neighborhood is quiet, friendly, and just minutes away from everything you need plus the beach. Love this place. If we ever visit SA again we will stay again if available. Plenty of space available - bedrooms of a generous size and a great living area. If anyone wants a bath there isn't one, but the shower is great. The accommodation worked very well for our stay. Overall I definitely recommend this apartment which has been completely renovated and is therefore in very good condition. Nick lives on the ground floor and the whole first floor (and last floor) consists of the flat which is offered here. It is very bright, very much in line with the pictures and has all the equipment you need (including the Apple TV!). The flat comes with a nice outdoor BBQ area ( on the ground floor, with tables and chairs, and completely separated from Nick's garden). The house is located in a safe area, with security guards so we always felt safe (worth noting we had our 3 year old daughter traveling with us). We parked our car in front of the house (very convenient for people considering renting cars). Nick is very nice person, always happy to give recommendations and always reachable on his phone or in person. He enjoys having good people around and is happy to spend time with his guests. He provided us great recommendations for activities in the area. Definitely one to remember if we go back to Cape Town one day. Overall I definitely recommend this apartment which has been completely renovated and is therefore in very good condition. Nick lives on the ground floor and the whole first floor (and last floor) consists of the flat which is offered here. It is very bright, very much in line with the pictures and has all the equipment you need (including the Apple TV!). The flat comes with a nice outdoor BBQ area ( on the ground floor, with tables and chairs, and completely separated from Nick's garden). The house is located in a safe area, with security guards so we always felt safe (worth noting we had our 3 year old daughter traveling with us). We parked our car in front of the house (very convenient for people considering renting cars). Nick is very nice person, always happy to give recommendations and always reachable on his phone or in person. He enjoys having good people around and is happy to spend time with his guests. He provided us great recommendations for activities in the area. Definitely one to remember if we go back to Cape Town one day. This was a great stay - the apartment was large and spacious and beautifully furnished and equipped. We loved our stay at Nick's and felt it was home away from home. Good location for travelling around the Cape with ready access to main routes whilst still being in a safe location. The apartment was clean, airy and spacious with superb views over the mountains. Nick was a gracious and friendly host (living downstairs), it's so nice to have the host living on hand for advice re travel routes and places to visit. I was surprised how large the apartment was and we were very comfortable and happy there, especially that we had WiFi to be able to stay in touch with family and upload pictures from this stunning location. Good location for travelling around the Cape with ready access to main routes whilst still being in a safe location. The apartment was clean, airy and spacious with superb views over the mountains. Nick was a gracious and friendly host (living downstairs), it's so nice to have the host living on hand for advice re travel routes and places to visit. I was surprised how large the apartment was and we were very comfortable and happy there, especially that we had WiFi to be able to stay in touch with family and upload pictures from this stunning location. My family and I (5 adults, 1 child and a toddler) thoroughly enjoyed staying at Palms Place. Nick and Josh were wonderful, gracious hosts whose hospitality made us feel very welcome and relaxed. Their home is large enough for a family and was spotless when we arrived. The location is also fairly central if you are looking for a base to explore the greater Cape Town and Peninsular. We spent a perfect week at Nick's place. We enjoyed the space of the apartment, the equipments (only missed the washing machine but there is a laundry close by). We could use the pool and our kids could play with Josh, Nick's son. Nick was very hospitable and suggested some activities and a great restaurant. 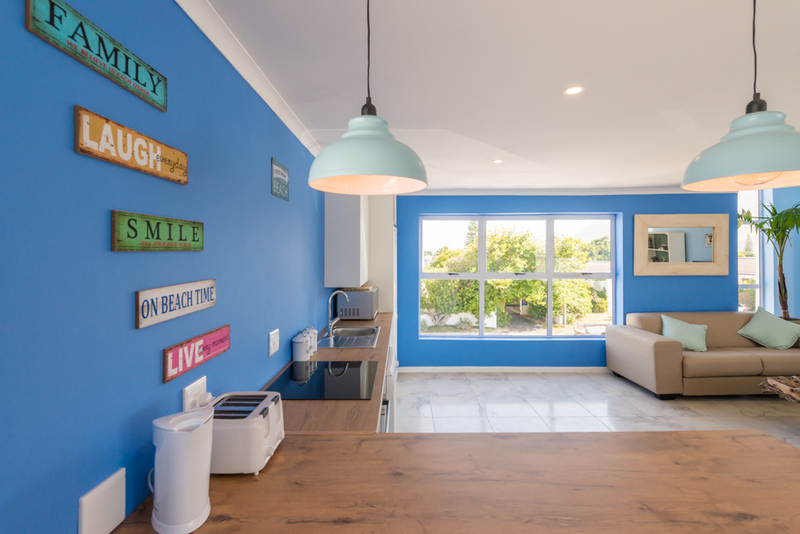 The apartment is in a nice neighbourhood with security guards on the street and is within 5min drive from Muizenberg beach, great spot to explore the Cape area. Highly recommend. We spent a perfect week at Nick's place. We enjoyed the space of the apartment, the equipments (only missed the washing machine but there is a laundry close by). We could use the pool and our kids could play with Josh, Nick's son. Nick was very hospitable and suggested some activities and a great restaurant. 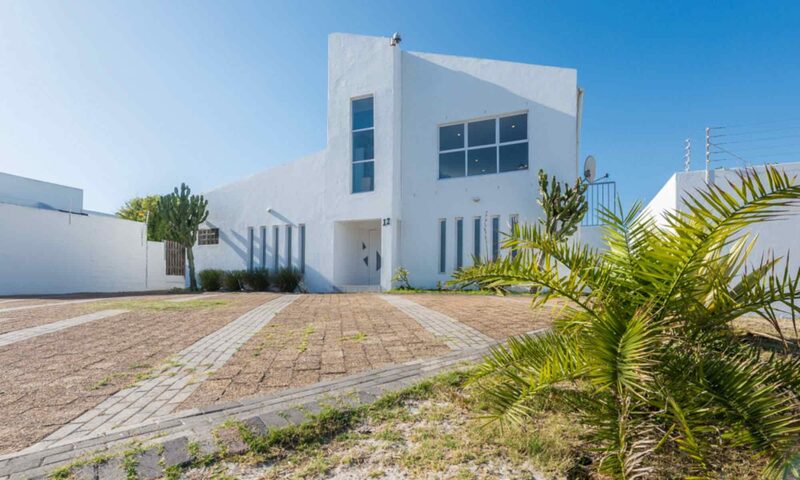 The apartment is in a nice neighbourhood with security guards on the street and is within 5min drive from Muizenberg beach, great spot to explore the Cape area. Highly recommend. The apartment was great, really spacious and had everything we needed. Nick and Josh were great hosts and made us feel at home. We enjoyed our few days at Nick's place. The place provided us exactly what we wanted, enough space for everybody, big rooms, comfortable beds and a great lounge to hang out. The location was perfect, close to the beach, but also to Capetown, Table mountain and Kirstenbosch. Nick is a great host and helped us with everything. Enjoying a beer around the fire and having a chat. His home was our home and that was wonderful. We would strongly recommend this place. Stayed at Nick's place for two nights. Fabulous host, wonderful clean and spacious flat. Very nicely decorated, private and safe apartment. We enjoyed our stay and felt right at home. Will definitely stay here again. Nick is an exceptional host who goes out of his way to make you comfortable and happy and at ease. Definitely makes for a memorable stay and would always refer him and his place as number 1!